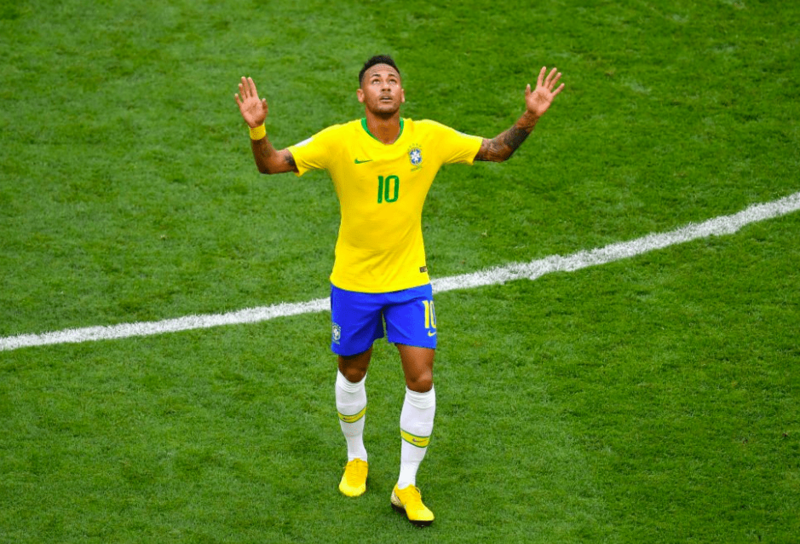 Neymar — the best player on the best remaining team in the FIFA World Cup — scored a 51st-minute goal Monday for Brazil in leading his nation to a 2-0 victory over Mexico. He tapped home a cross from Willian. The win puts Brazil, ranked No. 2 in the world, into the quarterfinals, where it will face Belgium, No. 3 in the world, on Friday in Kazan, Russia. Winner advances to the semifinals. Neymar’s goal marked the 227th for Brazil in the World Cup, passing Germany for the most of all time. And with Germany failing to advance out of group play this year, Brazil is the front-runner for what would be its sixth World Cup championship. The Brazilians have already won the world’s biggest tournament more than any other nation. Neymar was also in on Roberto Firmino’s 88th-minute goal. His right-footed flick bounced off the Mexican goalie’s foot and right to the feet of Firmino. Neymar finished third in the 2017 voting for Best FIFA Men’s Player, behind Cristiano Ronaldo of Portugal and Lionel Messi of Argentina. With both of those players already eliminated from the World Cup, Neymar could put himself in prime position for the 2018 award should he lead Brazil to the title, which would be his nation’s first since 2002. A vida só tem sentido quando o nosso ideal maior é servir a CRISTO !